The leader of the PJ Peronist Party minority bloc in the Senate, Miguel Angel Pichetto, described deadly violence in Caracas on Wednesday as "the true face of the Maduro dictatorship". 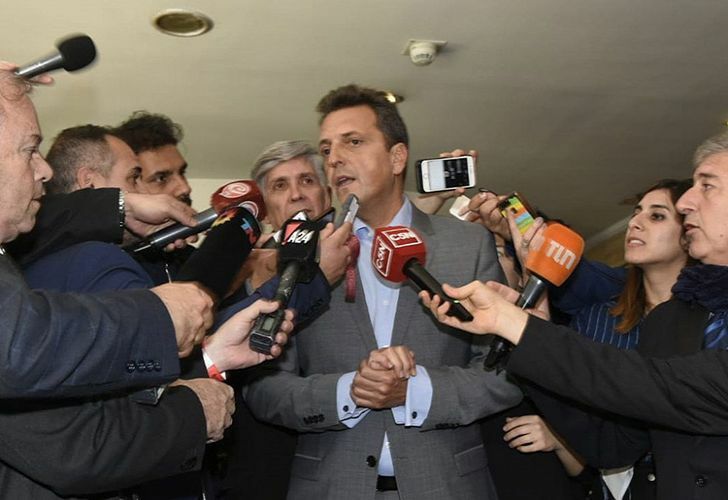 Argentina's leading opposition presidential hopefuls are unanimous in their support of Venezuela's self-declared president Juan Guaidó. Guaidó, the head of the Venezuela's outlawed National Assembly in Caracas, declared himself interim president on Wednesday, a move that immediately him earned the support of the Argentine, Brazilian and US governments, as well as the Organisation of American States (OAS). "The world turns its back on the (Nicolás) Maduro dictatorship and the winds of change begin to blow. Good luck, Venezuela", dissident Peronist leader Sergio Massa wrote on Twitter. "His process is unsustainable and it deserves the protest of all democratic parties in Argentina", Pichetto wrote on Twitter. Salta Governor Juan Manuel Urtubey also supported Guaidó's move. "I celebrate the strength and bravery of the Venezuelan people to express their desire for freedom from the Maduro dictatorship", he said. For his part, UCR Radical Party lawmaker Mario Negri said the "Venezuelan people deserve freedom and peace, central values in a democracy. From Argentina, we send them a hug in this fight against authoritarianism". While support for Guaidó spread across the majority of the Peronist opposition parties, leftists leaders and left-leaning Peronists like former president Cristina Fernández de Kirchner's allies on Wednesday likened the decision to an attempted coup. "(Argentine President Mauricio) Macri, (Brazil President Jair) Bolsonaro and (Chile President Sebastián) Piñera get on their knees before (US President Donald) Trump who is pushing for a government in Venezuela led by Guaidó", leftist lawmaker Nicolás del Caño said.